Consumption of factory-made food, long stays in air-polluted areas, smoking, drinking of alcohol – this all leads to accumulation of toxins in your body. Some kinds of fruits and vegetables are able to fight them and drain them out of your body. Read how to get rid of these harmful substances! Our body suffers during the winter months. Both freezing temperatures and lack of vitamins and minerals in our menu endanger the body. Moreover, we consume much more greasy food and sweets and drink more alcohol than usually which does not help at all. It’s no wonder that after demanding winter for our body we regularly face spring fatigue. We feel exhausted, sleepy without any energy. It’s high time we fought it! Try to stick to this regime at least for a week and you’ll feel the healing effect right away! Try fresh fruit and vegetable juices! 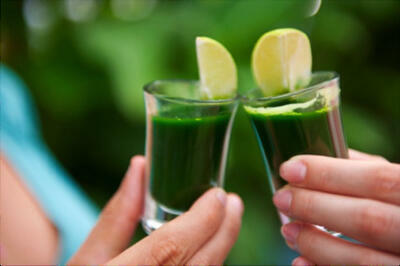 Mix your own detoxifying drink or get inspired by our Facebook recipes.